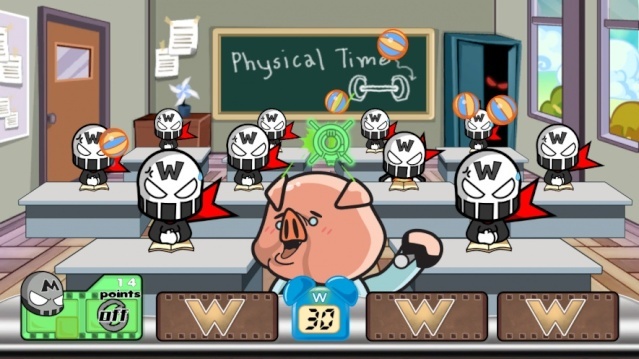 Wicked Monsters Blast: HD Plus has three different modes of play, Arcade, Family, and survival. You can play solo or against your friends in any of the three game modes which is nice for those who don't have anyone to play with. 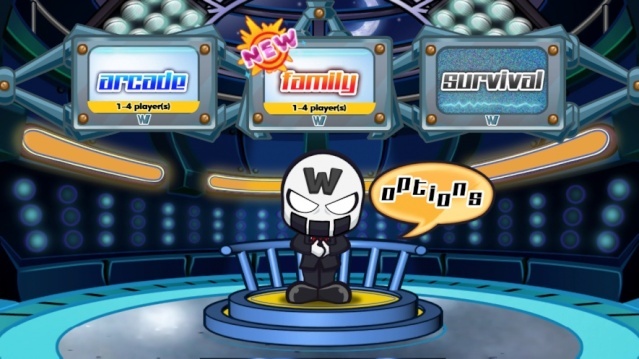 In Arcade Mode you must rack up as many points as you can in a series of mini-games before facing-off against a boss in the ultimate free-for-all experience. In Family Mode you get to choose the mini-games and there's no boss battle so it's perfect for quick bursts of play! And Survival Mode has you face-off against an endless onslaught of mini-games until you fall and is only recommended if you have plenty of free time. Regardless of your mode of choice the game has really bad balancing issues as the person using the Gamepad will always win thanks to the easy touch screen controls. The Wii Remote players just can't compete with the precision of the Wii U Gamepad which is a serious oversight on the developer's part. The controls are simple and easy to learn, but again the balancing issue between the Wii Remotes and Wii U Gamepad are painfully apparent. Visually the game looks every bit as good as the famous WarioWare titles with nice backgrounds and characters that are both colorful and detailed! The audio is decent enough as is the music, but overall the audio presentation is forgettable. With good gameplay, great controls in single-player mode, and excellent visuals, Wicked Monsters Blast: HD Plus had potential to be a solid party game, however horrendous balancing issues in multiplayer and a forgettable audio presentation really hurt the game's overall score and to be honest we just can't recommend this game to our viewers. Wicked Monsters Blast: HD Plus receives a poor recommendation from us. Thanks for the heads up and I'm sorry you had to play this game.